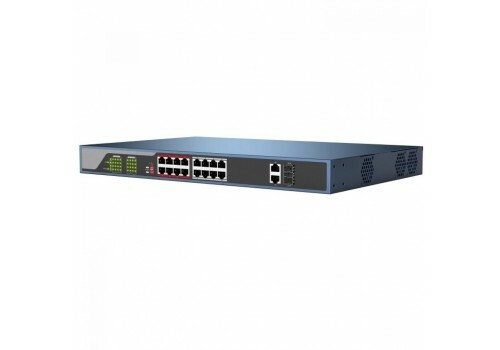 This 16-Port Gigabit POE can power up to 16 IP cameras and has four uplink ports which allow you to connect the switch to your local network. It has a max Power over Ethernet budget of 250 Watts allowing you to have several different camera variations configured. 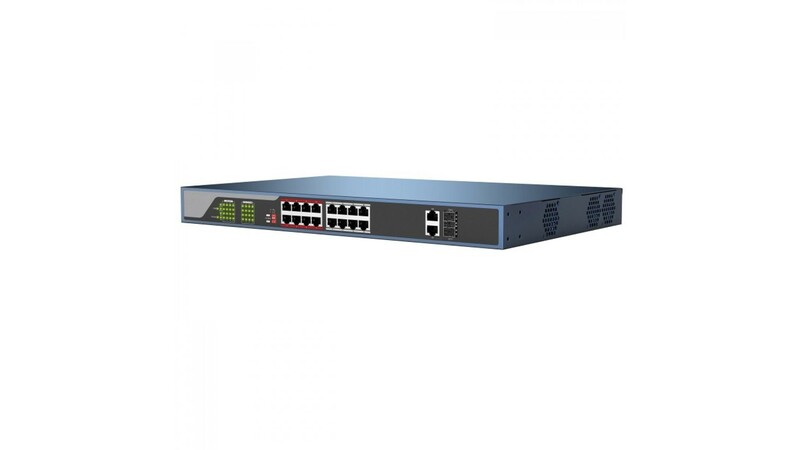 This switch also features two Fiber uplink ports as well as two GB copper uplink ports. 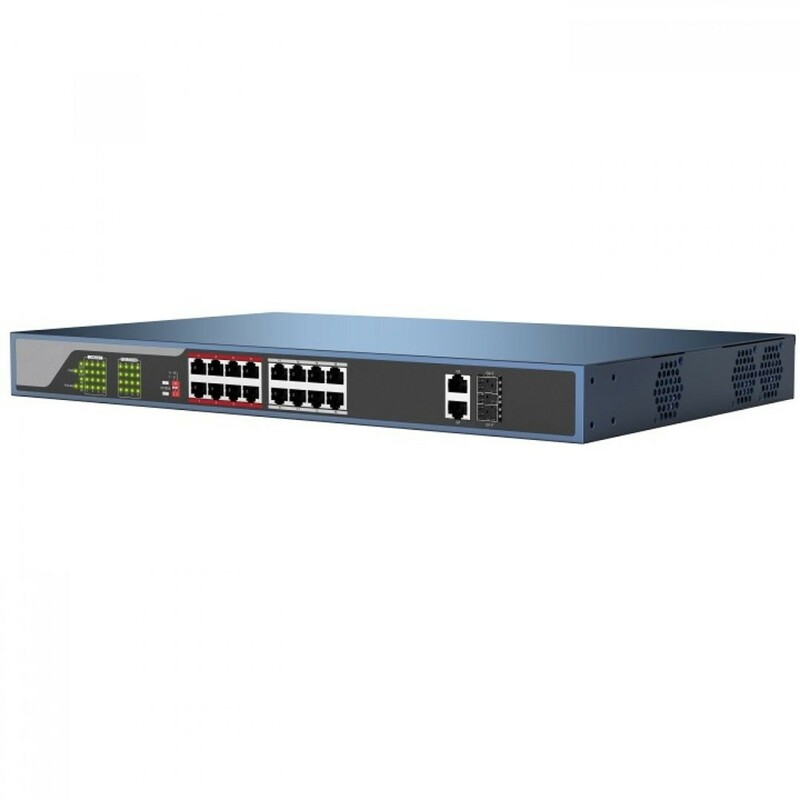 8 Port with POE Extend Feature. With the POE Extend Mode on, it can extend power and video signal up to 750ft via Cat. 5e twisted pair or above. @ 10Mbps. 1.75" H X 17.375" W X 8.75"